Sometimes you want something different for your garden art. 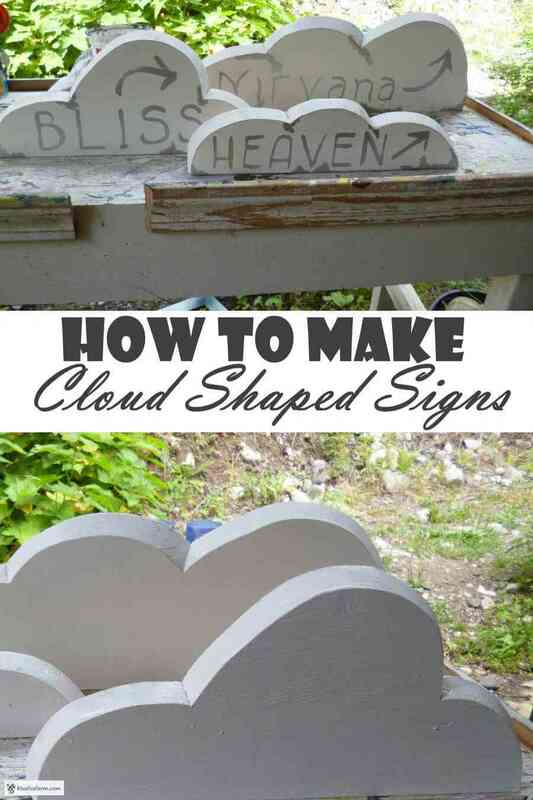 This tutorial shows you how to make a cloud shape sign. I'm not a big fan of loud power tools, but using a jig saw, although a bit high on the vibration scale isn't too scary. I'm fortunate that I have a very competent carpenter to demonstrate how this is done. I drew the lines on a piece of 1x6 planed lumber that I had; another advantage to having someone in the family that keeps scraps of siding and other salvage for me to use in crafts. 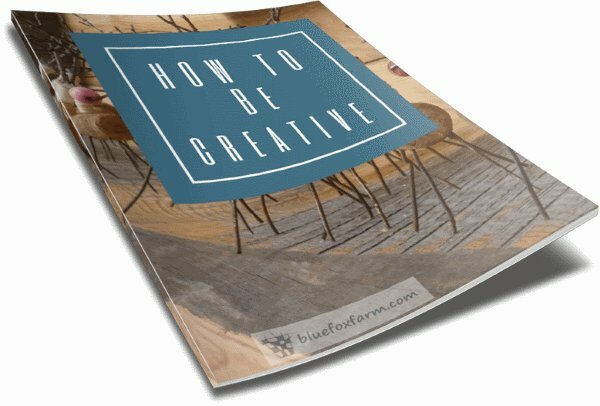 It's not important if these have nail holes, that just adds to the character. 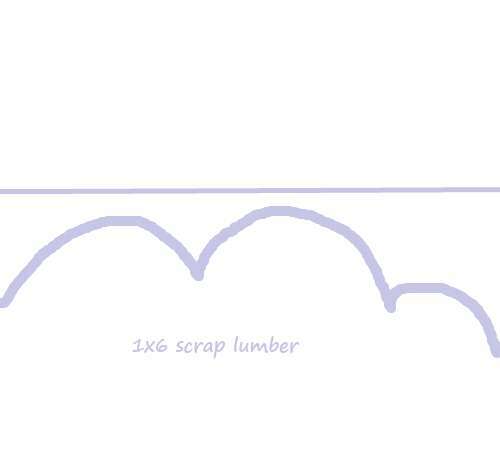 Make sure there are no nails or staples in the scrap lumber though. Nothing gets your helper cursing more than hitting a nail with the jigsaw. The simple scallop shapes are easy to draw, even if you're not an artist. 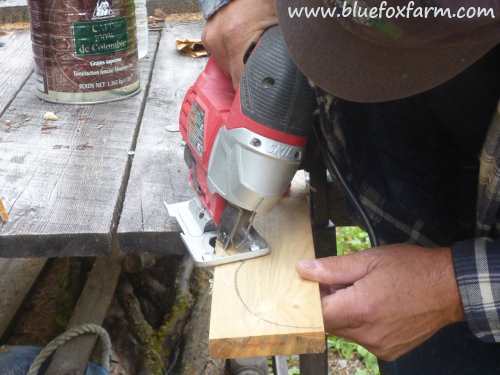 The best tool for this job is a jigsaw with the ability to change the angle of the blade. 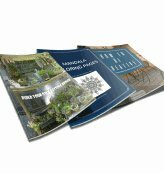 This selection from Amazon gives you a lot of options of which jig saw to spend your hard earned money on. Set the saw at a 45 degree angle. Starting at the top of each scallop, cut down to the valley. 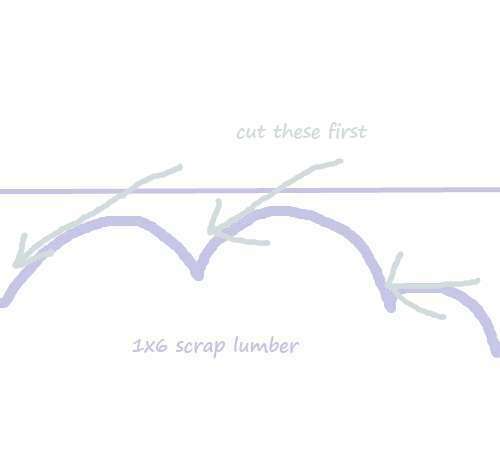 Change the angle on the saw to 45 degrees the other way. Cut from the top of the scallops down to the valley on the other side. This picture shows the angle of the saw; the flat plate actually can be moved to different angles. 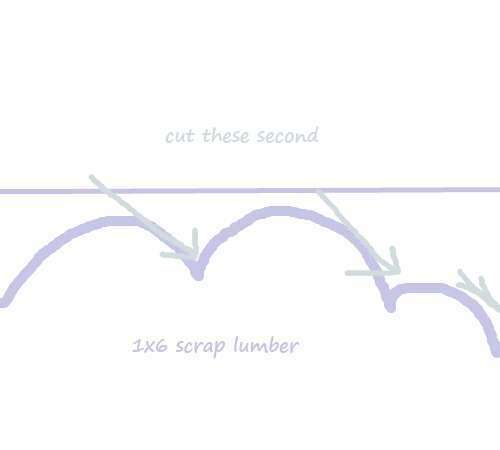 Using this method might take a bit of practice to get the cut even and clean - test on some scrap to get the curve and the angle correct. 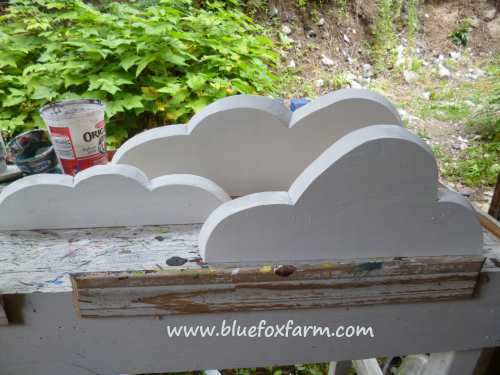 Sand the edges and any rough spots, then paint with your choice of exterior latex, or acrylic craft paints. 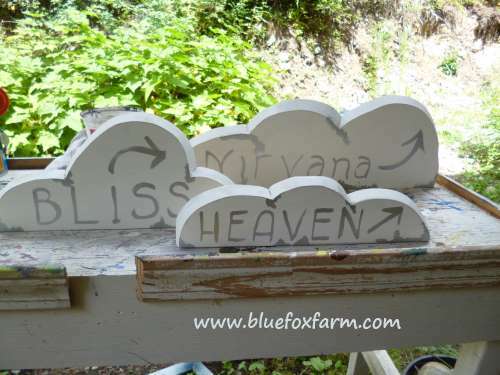 Add lettering - you can see more about the Boot Hill garden signs here. 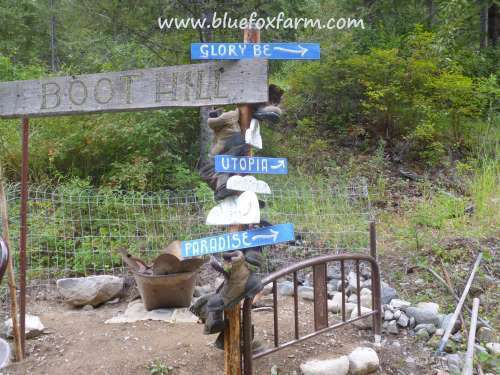 Boot Hill is the destination for these signs. See more about the junk garden here.